Colorful raindrops flood the winter scene. The air is crisp and moss florescent green. Outside it is raining, raining on my head. Grey skies in the morning until I go to bed. 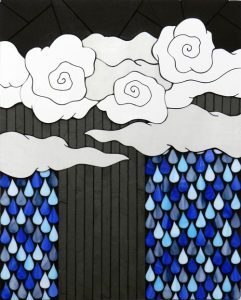 This artwork celebrates the beauty of the rainfall in Seattle.